1. Read 2 to 3 books a day with a clear beginning and ending. Be creative in your reading style (i.e., singing the words, playing with character voices, changing your speech). It is ok to skip pages based on your child’s attention span. Make books accessible throughout the day. The best time for reading is after lunchtime or before bedtime. 2. 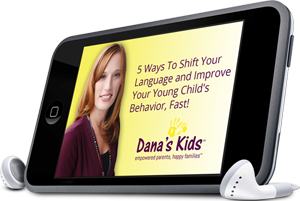 Starting at infancy, narrate your activities/environment throughout the day. For example, while getting ready to leave the house explain where you are going, what you will be doing and explain why you are putting on your coat. 3. Incorporated music and nursery rhymes into your baby’s day. Play music in the background during playtime. Read and/or say nursery rhymes to your child (encourage them to imitate you). 4. Turn-taking is important for acquiring language. Engage your child in turn-taking babbling (i.e., if they produce a sound, imitate their sound back to them). This encourages more vocalizations and verbalizations. 5. Encourage your child to play with sounds, voice and words throughout the day. This begins with the babbling, turn-taking activity above. Remember, excessive pacifier use throughout the day will affect your child’s language use and speech production. This entry was posted in Activities, children, early intervention, language development, parenting, special needs, teachable moments, tips, young children and tagged enrichment, language development, parenting tips, speech, support, tips, young children. Bookmark the permalink.